Although the word only appeared in (Middle) English around 1200-1500, gloves are a much more ancient invention. 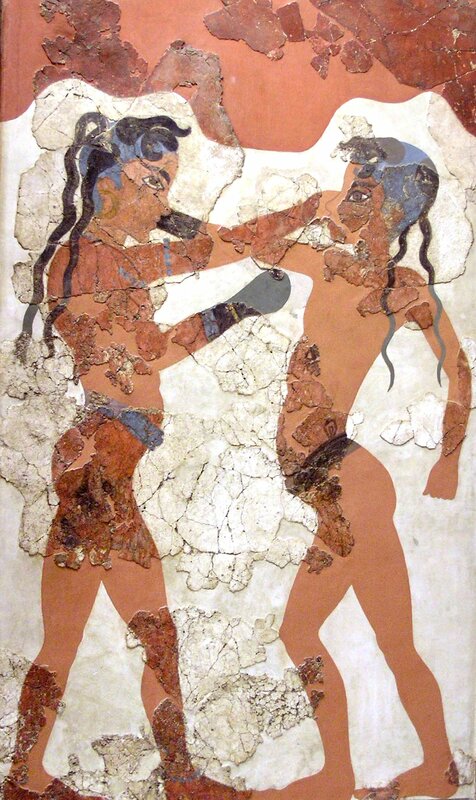 Here are a couple of kids portrayed boxing with them at the Cretan town of Knossos sometime before 1500 B.C. In The Odyssey (around 800 B.C. ), Homer describes the hero Laërtes as wearing a pair to avoid… brambles. But gloves seem to have only really flourished rather later in Europe, becoming fairly commonplace around the 12th century A.D. Four centuries later, Queen Elizabeth 1st enjoyed wearing gloves just before taking them off to show her beautiful hands. Functional, but not so pretty… And that’s precisely how and why éclipse Gloves – functional, comfortable and fashionable – came into being!